unique and powerful meditations with her gong sound bath. to raise your vibrations so that you can better understand the Laws of Oneness. Lemuria was the first major human civilization after the Divine seeding of humanity. We were given balanced DNA in the beginning. the distortion of our experiences throughout our many life times. Especially the balance of masculine/feminine energies. the more we return to the original blueprint. The more life flows with the current energies on the planet. Maya’s recollection (from her Akash) about Lemuria is detailed. ​She remembers the Star Mothers who came to teach us about the way things work, how we are all connected to each other and to everything on this planet. These memories are re-surfacing now, at this point in human history, to once again guide us to a more balanced way of being. To remember who we are, our multi-dimensional selves and to once again take our turn on the path of Ascension. All eyes in the Galaxy are upon us. Our actions play a role and influence the energies in our galaxy. to assist with raising your vibration. Each meditation is a channelled message accompanied by a gong sound bath and has its own frequency. This combination is more than the sum of its parts. Each meditation was channelled with the guidance from the Star Mothers who are here to guide humanity through this phase of our journey on planet Earth. and that they represent the lessons of the Oneness of everything. No one lesson is more important than any other. Masterclass 1: Remembering Who You Truly Are - "GODSPARK"
You will be introduced to the second concept. As we progress into the Lemurian Circle of Oneness, you will come to understand that no concept stands alone. Each is connected and overlaps the other concepts of Oneness.- Learn the second concept from the Lemurian Circle of Oneness as given by the Star Mothers. - Gain an understanding of the second concept and how it relates to each human on the planet. - Learn how to build your relationship with your “Godspark”. - Connect with the energies of your “Godspark” during the guided meditation, includes a gong sound bath. - Maya will channel messages and Light Language from the Star Mothers. Masterclass 2: Remembering Who You Truly Are - "THE INNOCENT"
- Learn the third concept from the Lemurian Circle of Oneness as given by the Star Mothers. - Gain an understanding of the third concept and its benefits to your health. - Learn how to build your relationship with “The Innocent” within. - During the guided meditation, connect with the energies of “The Innocent”, includes a gong sound bath. Masterclass 3: You Are The Source - "YOUR REFLECTION"
- Learn the fifth concept from the Lemurian Circle of Oneness as given by the Star Mothers. - Gain an understanding of the fifth concept and how it could change your life. - Learn how to build your relationship with “Your Reflection”. - During the guided meditation, connect with the energies of “Your Reflection”, includes a gong sound bath. Maya works on a very intuitive and empathic level, so that the sessions evolve in a very organic way. so that the session proceeds with an open hearted energy for your highest potential. ​a specific issue or question/s to be addressed during this time. Activating the original blueprint within you, the original gift of the Goddess can bring online, aspects of your being that are ready to serve you. What else would you like to create in your life? ​Replenish your soul and begin to design the life you’ve always wanted to live. Maya channels Light Language and translates it into sound. These sounds together with the Light Codes she channels help to restructure our energy patterns so that we remember our Quantum selves. 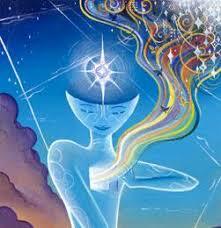 They release, balance and illuminate your being. Soulful and exquisitely beautiful, the harmonic sounds of the gong and other instruments weave a gentle yet powerful energy around and through you, that may touch the deepest part of your being. Gongs are made by combining certain metals in intense heat and exist for hundreds of years, long after we have gone; like a fine wine, maturing in sound. A Gong Sound Bath is very gentle and non invasive. It has been used for thousands of years in many cultures around the world. This type of treatment has been noted to relax the body, stabilizing the heart rate and blood pressure. On subtle body levels it helps to release blockages, emotional stagnation or long term feelings of being “stuck” and it raises your vibration. 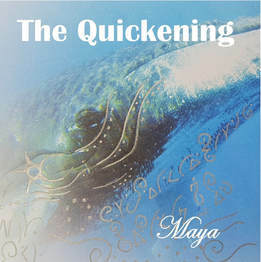 The sounds that the gongs produce take you on a journey with the variations and amazingly beautiful range of harmonics. When the gongs sound softly, the outside world enters the room. As the gongs sound louder the outside world disappears and you begin your journey into a deep meditative state. Most people can feel the vibrations of the gongs passing through their physical body, enabling emotions and blockages to come to the surface to be released, as they soothe, relax and invigorate the body, mind and soul. 45 minutes of a Beautiful Meditation with the Gongs and whale song. Relaxing and soothing, the resonance gently moves through you, and may awaken your heart, original DNA blueprint and purpose with the element of water, for the New Human Consciousness era. ​for further support and interaction. Group session will be recorded and replay sent out to everyone who has registered, so even if you can’t make it to the session, or if you missed something and want to go over it again, you will have the replay to enjoy as many times as you wish. Masterclass 4: Remembering Who You Truly Are - "CREATION"
In this second Masterclass you will be introduced to the first of six concepts. There must be an understanding about these lessons, that there is no hierarchy and that they represent the lessons of the Oneness of everything. No one lesson is more important than any other.- Learn the first of six concepts from the Lemurian Circle of Oneness as given by the Star Mothers. - Gain an understanding of this central concept and how it relates to you. - Learn how to build your relationship with “Creation”. - Connect with the energies of “Creation” during the guided meditation, includes a gong sound bath. Masterclass 5: You Are The Source - "FULL CIRCLE"
- Learn the fourth concept from the Lemurian Circle of Oneness as given by the Star Mothers. - Gain an understanding of the fourth concept and how it affects your life. - Learn how to build your relationship with “Full Circle”. - During the guided meditation, connect with the energies of “Full Circle”, includes a gong sound bath. Masterclass 6: You Are The Source - "GALACTIC FAMILY"
- Learn the sixth concept from the Lemurian Circle of Oneness as given by the Star Mothers. - Gain an understanding of the sixth concept and how we are so much more than we think. - Learn who the “Galactic Family” is and how to build your relationship with them. - During the guided meditation, connect with the energies of the “Galactic Family”, includes a gong sound bath. Maya will tune into you and give you intuitive guidance and any other messages that come through. Maya can create your very own personal and unique, 15 minute Gong Sound Bath track! Guaranteed to not be shorter than 15 minutes, but can be longer, depends on what Maya is guided to do for you! These personal tracks are verbal transmissions of Light Codes and frequencies that can enable people to awaken to their Divine Light within and remember their multi-dimensional nature. Created especially for you, to assist you through your challenges, each track is as unique as you! Let Maya know what you would like her to focus on and she will create your unique and personal gong sound bath track - yours to keep forever! A guided meditation assisting you to understand the central concept of the Lemurian Masterclass. Includes guided meditation and gong sound bath. Allow yourself to be cleared of all that does not resonate with you now, as you see the layers peeling away. Set down the burden of karma, as it is no longer required, and step into your form renewed and refreshed, as if you were just born. The wheel turns and time is in a circle. All must return to the center from whence it came. The Void of Creation, where all is nothing and yet is everything, all at the same time. Where you are one with the Oneness of everything, everything is there within you, ready for you to give it your creative energy. "No words can express the deep transformation that has taken place within my mind, body and spirit since my Gonging Healing session with Maya. The gongs touched me on so many levels, in ways I never knew possible. With Maya facilitating, sound and vibrations travelled as waves of energy to the core of my being, massaging and releasing blockages that had been with me for many lives. My inner world was full of darknes and self hatred, running old programs that stifled my growth, yet through my session I felt my heart opening to a new energy and self love. The shadow on my soul has lifted leaving a lightness which is very new to me. Based in Perth Australia, Maya is an international Light Language Channeller, Speaker and Teacher in practise for over 15 years. Facilitating workshops around the world, her work is focused on the Lessons From Lemuria and self-love. 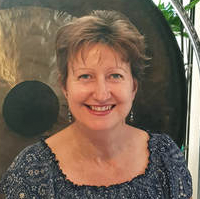 Combining with her unique skills as a Gong Practitioner and Light Language Channeller she is empowering people to open up to more of who they truly are. 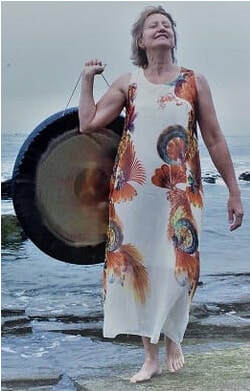 During her Gong Sound Bath sessions, Maya channels Light Language and translates it into sound, harmonising her three gongs to create a multi-dimensional soundscape. These sounds, together with the Light Codes, help to restructure our energy patterns so that we remember the multi-dimensional nature of our being. 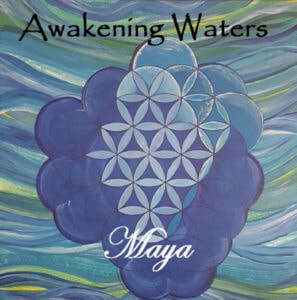 ​Soulful and exquisitely beautiful, the harmonic sounds of the gongs and Maya's voice weave a gentle yet powerful energy around and through you, releasing, balancing and illuminating the deepest part of your being. Trusting her intuition, Maya has followed her heart to Master Teachers and Healers, as well as sacred sites around the world where she received activations for the many gifts she has incorporated into her work. These experiences from Teachers and Mother Gai'ha, through the process of self-love, awakened an inner knowing to reveal lifetimes of soul memory and a passion for her life's purpose as an Alchemist of Light and Sound. ​Memories of the Lessons From Lemuria and the priestess Alel'ha are currently the focus of Maya's work. Maya acknowledges you are a Master in your own right, as she holds you in the oneness of all of creation to remind humanity that we are capable of living in harmony, peace and love with each other and with our beloved planet.